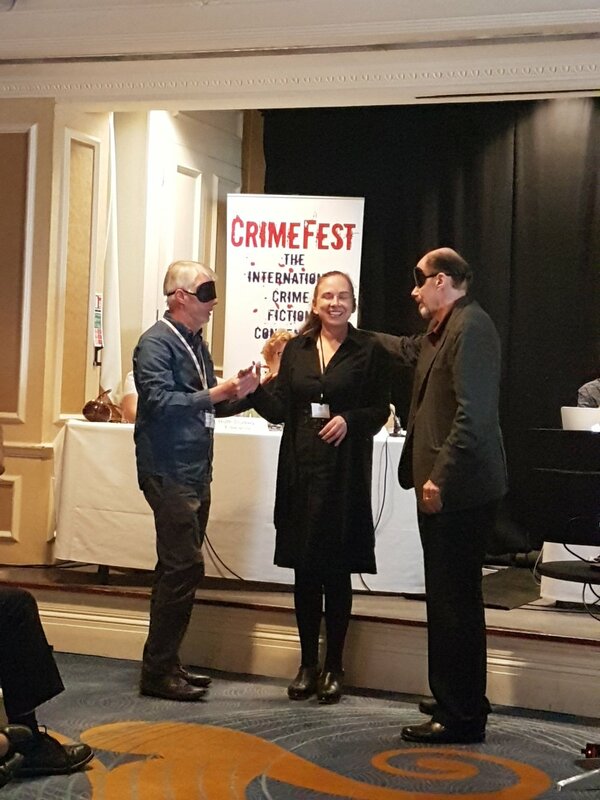 Every May, a bunch of crime writers and lovers meet in Bristol to discuss everything crime, from heroes, villains and psychology to plotting, zooming in on details and everything else you can imagine. 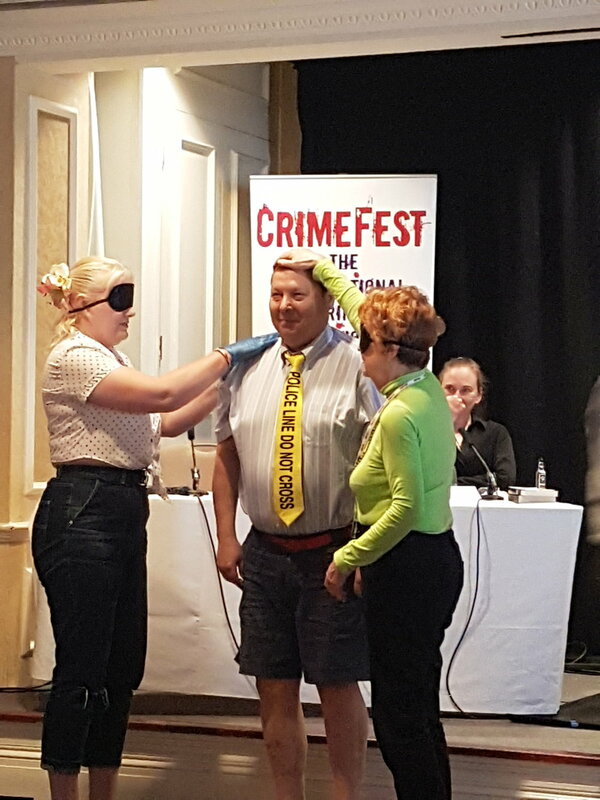 The best part about CrimeFest, the international crime fiction convention, is that it fills you with so many impressions you'll be munching on them long after it's finished. 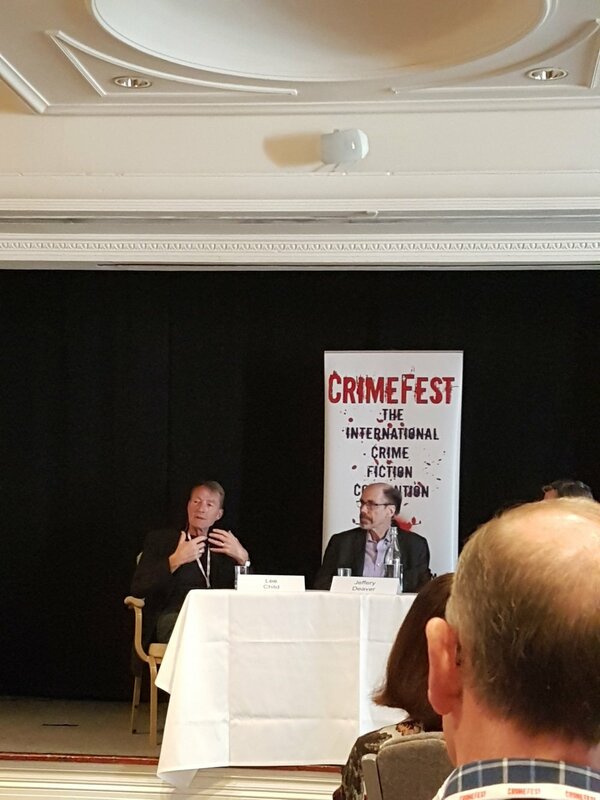 I found it to be one of very few places where a 'panel' actually means a fun and interesting debate, not to mention it is insanely motivating for any aspiring crime writer. It took only one visit to get me hooked. This year, I came more prepared (read: I brought a bigger suitcase) and bought enough snacks to keep me full till dinner (the 20-minute breaks after each panel are better spent buying and signing books than shopping for food). I selected the panels I wanted to attend, based on a mix of topics and authors, thought about the books I wanted to buy and read the authors' bios before the panels. Lesson #1: It doesn't matter how many books you planned to buy. What matters is how much space there's still left in your suitcase. 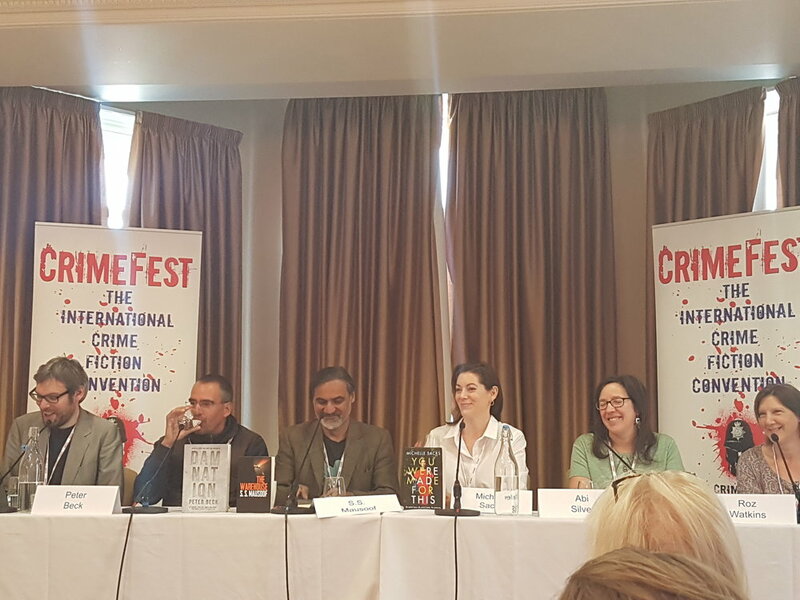 This year's panels confirmed that crime writers are extremely nice people. 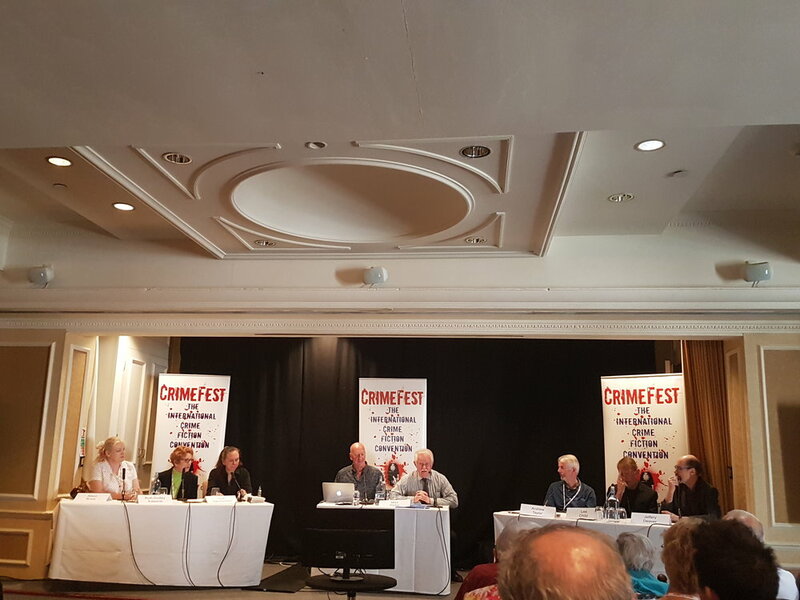 If you're an aspiring crime writer, there's nothing more encouraging than to hear bestselling authors share how they got over the first hurdles. Crime writers proved to have a great sense of humour. This year was the first time I took advantage of CrimeFest's additional offer for writers. While I didn't feel my first draft was quite ready to be pitched to an agent, I did buy a ticket for a 1-on-1 manuscript assessment. I held my breath when waiting to hear the verdict of my synopsis and the first two chapters. What I got back was very encouraging feedback that got me motivated to work on the second draft. Lesson #2: Invest in your writing. One of the nicest parts of the whole thing is to meet and connect to other lovers of crime fiction. People who are happy to discuss plots and locked room mysteries and share their favourite crime stories are my kind of people. I was also happy to discover new authors and came back recharged, motivated and eager to plunge into more reading and writing. Spending time in sunny Bristol and enjoying English cuisine was a big plus. 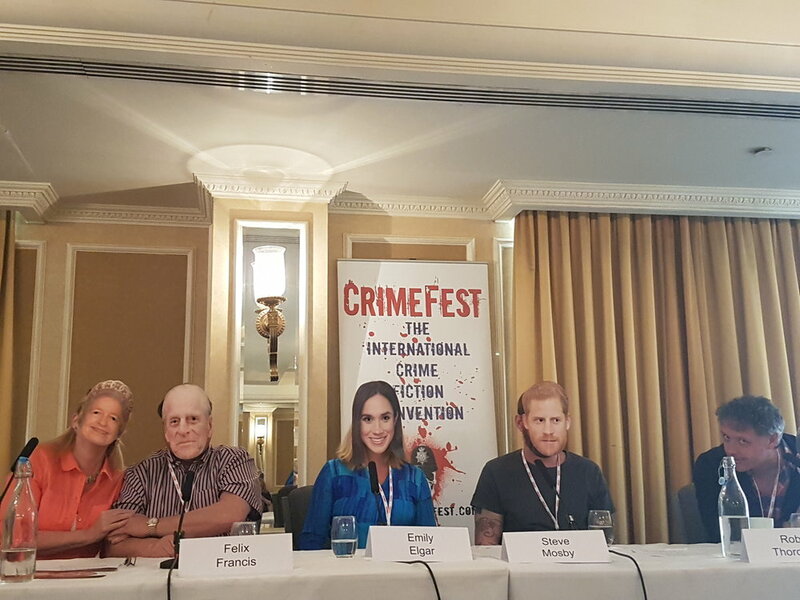 Thank you, CrimeFest: I will be back for sure.